Thirsty Pilgrim: Earning the Spurs. Here you can see the saloon. You can get there the back way, which is through the 2nd Shift brewhouse. Walk past the kegerators, up the flight of stairs, and through the door. Suddenly you're behind the bar. Or you can come in through the front door, from the street of the re-created Old West town. Sadly it's just a normal wooden door, and not the old-timey swinging doors. You know, the sort where you slam them open and step inside, the piano stops playing, and all the card players and rotgut drinkers with ZZ Top beards stop what they're doing and have a look at the new kid in town. 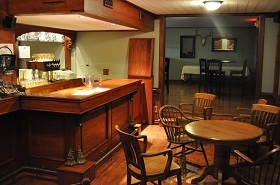 Presently the saloon doubles as 2nd Shift's rather civilized tasting room. When I visited Steve Crider at his New Haven, Mo., brewery last year, I thought his exceptional hop-bombs would lead him to success in the St. Louis area. When I say "exceptional," I mean that his IPAs are unusually drinkable for the amount of lupulin that goes into them. Absurd on hop aroma, large in hop flavor, yet the perceived bitterness never seems to cross that resinous threshold that prevents me from ordering more -- that's what I mean by exceptional. Then there is Little Big Hop, which can match its big brothers for flavor, yet has a lighter body and hovers somewhere around 4% abv. It's the sort of beer I wish more brewers would make, but it's not clear yet whether there's much demand for it. In my view Crider is making some of the best hoppy ales in America right now. But maybe exceptional isn't as exceptional as it used to be in Missouri, where Stone and Green Flash recently entered the market. Maybe it takes more than hop wizardry to stand out these days. It's not easy to explain, but I get annoyed when I find a tasty Witbier made from spices, flowers, herbs or other salad ingredients. 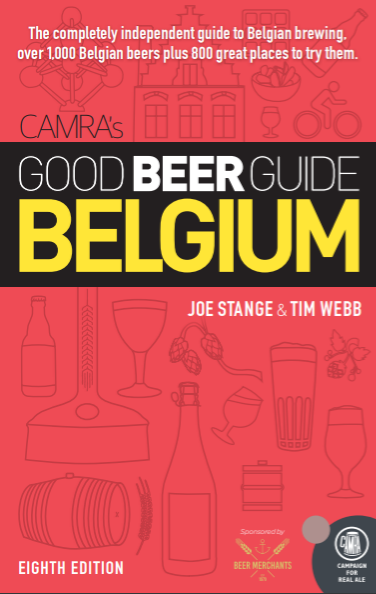 Maybe it's because I've tasted too many overspiced, sweetish, soupy ales -- many of them in Belgium, many others elsewhere by brewers "inspired" by the ones Belgium. So Crider's Hibiscus Wit doesn't fit into my worldview, because I like it. So do many drinkers in St. Louis, apparently, and their bars and distributors. They've all got Crider thinking that maybe the flowery wheat beer will be his flagship. Meanwhile his fermenters are filled to capacity and more will be there soon, if they're not already. So now Crider is one of the new kids in town. Folks in the St. Louis area are stopping to look. It'll be fun to watch what happens next.